Okay, I know what you are thinking. 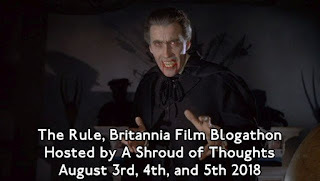 "You have never held a Rule, Britannia Film Blogathon, so how can this be the 5th annual one?" 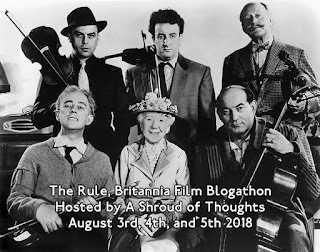 Well, the Rule, Britannia Film Blogathon is essentially my old British Invaders Blogathon with a new name. I have never really cared for the name "British Invaders" as it really would not be applicable to those living in the United Kingdom. 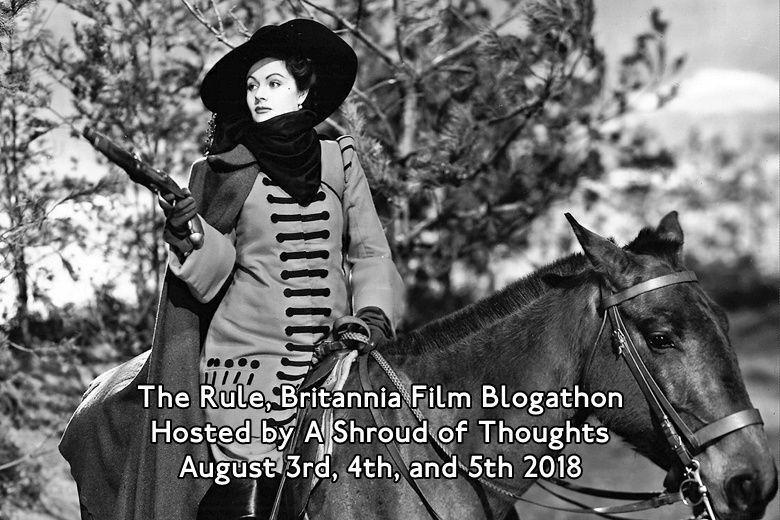 When I finally realised there has never been a "Rule, Britannia" blogathon, I simply decided to rename the blogathon with something much cooler! Anyway, beyond the new name the blogathon is pretty much the same. It is a celebration of British films. While many people think of Hollywood when they think of classic movies, the fact is that the United Kingdom made many significant contributions to film over the years. From the Gainsborough melodramas to Hammer Films to the British New Wave, cinema would be much poorer without the British. 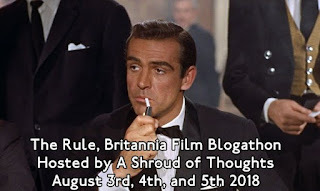 I've scheduled this year's British Invaders Rule, Britannia Blogathon for August 3, August 4, and August 5 2018. 1. Posts can be about any British film or any topic related to British films. For the sake of simplicity, I am using "British" here to refer to any film made by a company based in the United Kingdom or British Crown dependencies. If you want to write about a film made in Northern Ireland or the Isle of Man, then, you can do so. Also for the sake of simplicity, people can write about co-productions made with companies from outside the United Kingdom. For example, since 2001: A Space Odyssey is a British-American co-production, someone could write about it if they chose. 2. There is no limit on subject matter. You can write about any film in any genre you want. Posts can be on everything from the British New Wave to the Gainsborough bodice rippers to the Hammer Horrors. I am also making no limit on the format posts can take. You could review a classic British film, make an in-depth analysis of a series of British films, or even simply do a pictorial tribute to a film. That having been said, since this is a classic film blogathon, I only ask that you write about films made before 1993. I generally don't think of a film as a classic until it has been around for thirty years, but to give bloggers more options I am setting the cut off point at twenty five years ago. 3. I am asking that there please be no duplicates. That having been said, if someone has already chosen to cover From Russia with Love (1963), someone else could write about another James Bond movie or even the James Bond series as a whole. 4. I am not going to schedule days for individual posts. All I ask is that the posts be made on or between August 3, August 4, or August 5. 5. 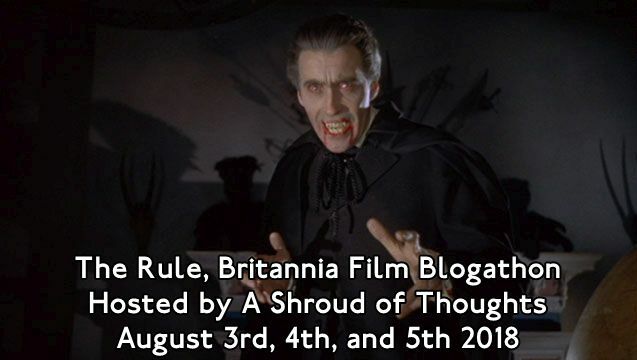 On August 3 I will set up the page for the blogathon. I ask that you link your posts to that page. 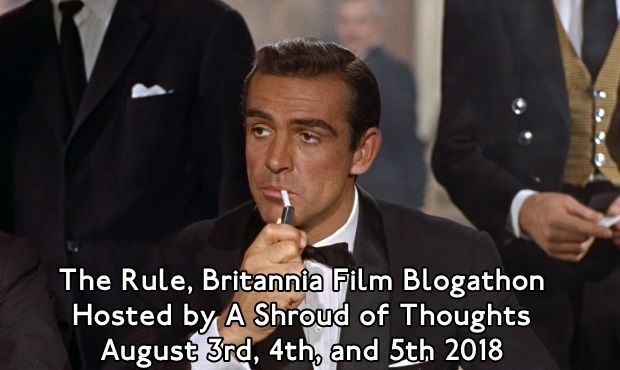 If you want to participate in the Rule, Britannia Blogathon, you can simply comment below or get a hold of me on Twitter at mercurie80 or at my email: mercurie80 at gmail.com. Can I do "Stormy Monday" for The Stop Button? I got you down for it, Andrew! I would like to offer something on 1950s The Mudlark, a UK/US co-production from Twentieth Century Fox filmed at Denham Studios. Gill and Paddy, I have you down for both of them! It sounds like you got lucky, Gill. I love Withnail and I! This is the perfect opportunity for me to write about "The Elephant Man" ( 1980 ), so put me down for that thanks. I was wondering when you were going to announce this again. I got you down for it, Crystal! Put me down for “The Smallest Show on Earth” (1957). I got you down for it, Phnyl! I think I've participated in every year of this blog, so...may I cover the 1933 film "The Ghoul"? I got you down for it, Dan! Hi, Terry. Since 1992 films are now eligible, I'd like to write about The Crying Game. Hi, Terry! I'd like to do "Chariots of Fire," if that's OK. I got you down for them, Debra and Rebecca! Would love to do Brief Encounter at thestopbutton.com! I got you down for it, Amanda! Could I write about The Go-Between? My blog is Cinematic Scribblings: https://cinematicscribblings.wordpress.com/ Thank you! I got you down for it, Erin! How about Morons from Outer Space? I got you down for it, Quiggy! Hi there... I'd like to do Yellow Submarine. I got you down for it, Ginnie! Can I do The Magnet - the minor Ealing comedy? Jonathan, I got you down for it. It put it down for Liberal England, but let me know if you want to post it to another blog. Hi - would it be possible to submit something I've already posted? If so I'd like to go with Hitchcock's "Blackmail". Which of your blogs is it on, Kim? 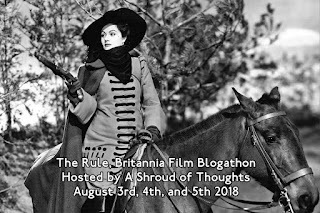 At present it is on a blog called "WadsWords" - I am in the early stages of moving all the movie posts to their own blog, but that won't be ready in time for this blogathon, I fear. Here's the link, for your assessment - just in case! This blogathon is a great chance for me to wirte about Alec Guinness - times 8! I want to write about Kind Hearts and Coronets, 1949. Kim that's perfect! I have it down. I have you down for it, Le! I was just perusing the line-up. This is going to be great! Constnace, I got you down for it! A day early. My post for "Morons from Outer Space"